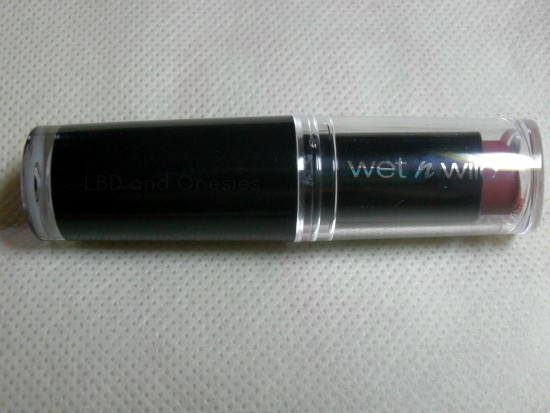 This lip color that I'll be reviewing is from Wet n Wild which my mom got from CVS. I am not sure if they're available locally, but I've seen some Wet n Wild products at a local department store and they're also available at Zalora. I was skeptical in using this product because my dry lips can't handle matte lipstick, and they seem like matte lipstick at first sight. 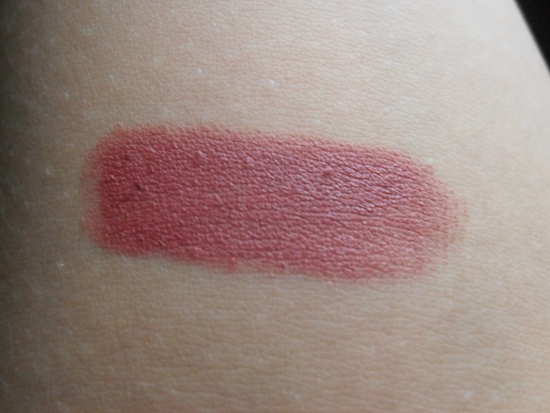 When used, it is actually more creamy than matte which I like so much. 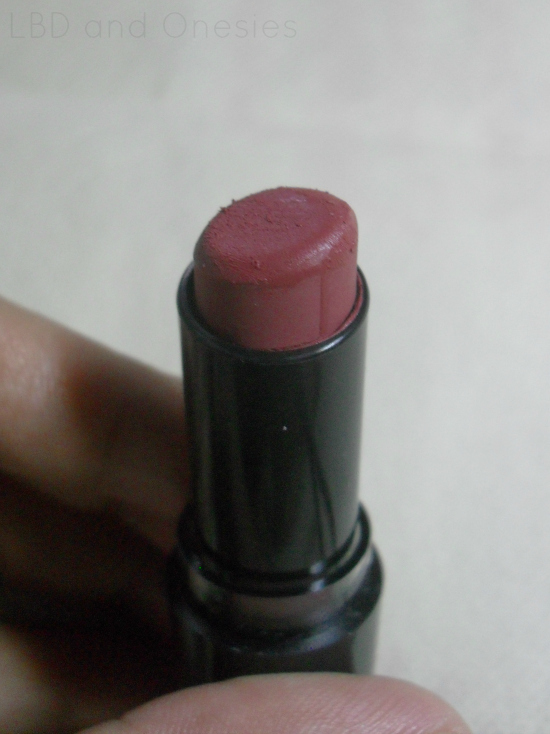 The color seem like brownish pink in the tube, but it's more reddish brown when worn. - The semi-matte finish is great! 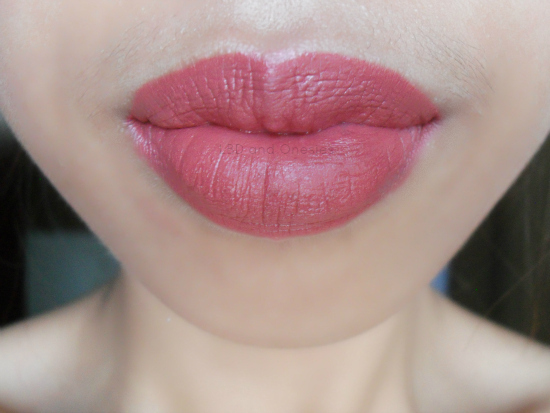 It doesn't dry the lips that much because of its creaminess, but prepping up with a balm is still a must! - It glides on smoothly and evenly. - It stains like crazy! 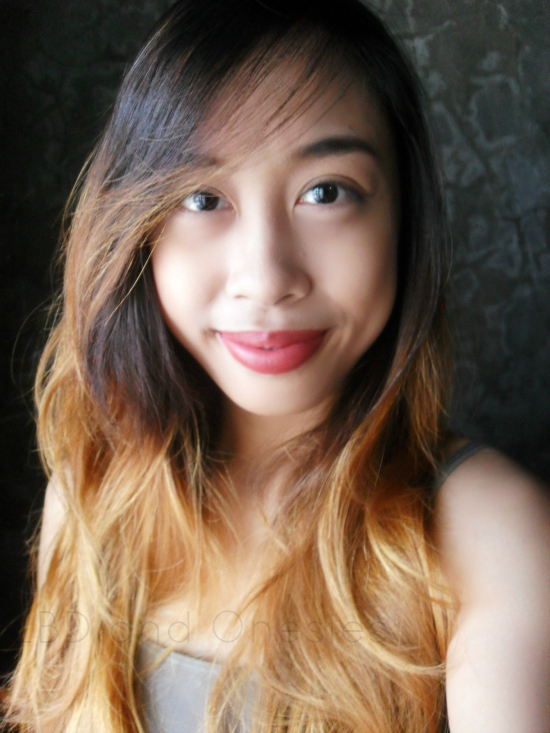 Proof that the color lasts. - It doesn't have a weird taste and smell when worn. - It's very affordable. Costs only $3 or less than P150. - The packaging is not good at all. It doesn't look that cheap up front, but when you twist the tube it sometimes gets jammed. - Unfortunately, the lipstick bleeds after a few hours. - I needed to reapply every 3 hours which is not that bad at all. 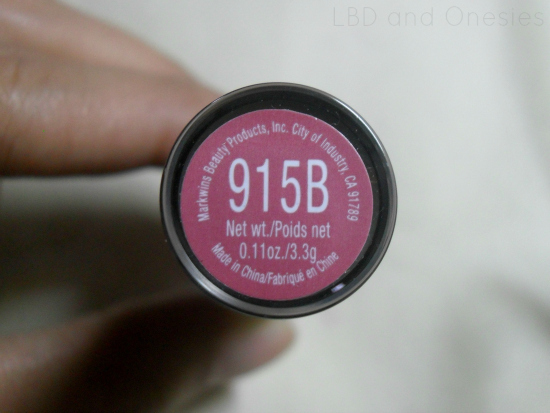 - It am not sure if it's available locally, but from what I know Zalora carries Wet n Wild products. Really? I haven't visited WnW counters lately. I know, right! :) Thanks for dropping by, Iya! nice color, perfect on you! you have beautiful lips! I haven't tried that one yet! I bet it's a pretty color as well! That color is gorgeous. I use it too.